I was really fascinated to see these tiny chuchus in the market (in Brazil) ..just the size of a lemon. Bought them and made the curry. They were nice and tender to cook as well. 1. Peel and cut the chuchu into long pieces. Remove the seed. 2. Heat oil in a pan and add the tempering ingredients. When they crackle, add the onion and saute for a few minutes. 4. When it is almost done, add the chettinad masala and simmer for a minute. You can make it dry or with little gravy. relishing delight with chayote....nice recipe.. chuchu!!! the name reminded me of film seeta aur geeta with hema malini and she calls chachi brother chuchu hahhaa but what is this chuchu here? 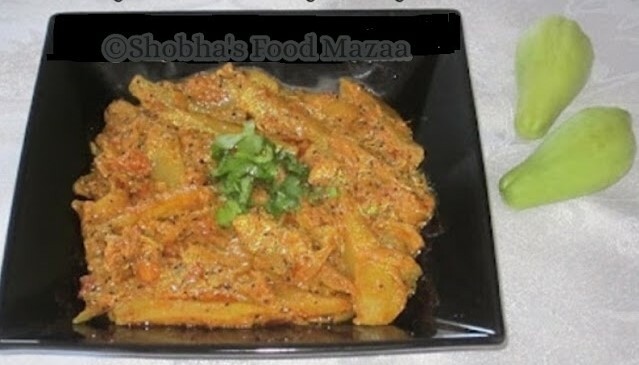 Chayote curry looks spicy and yummyyyy. 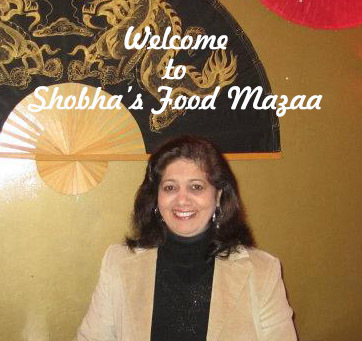 Very inviting appetizing dish Shobha.